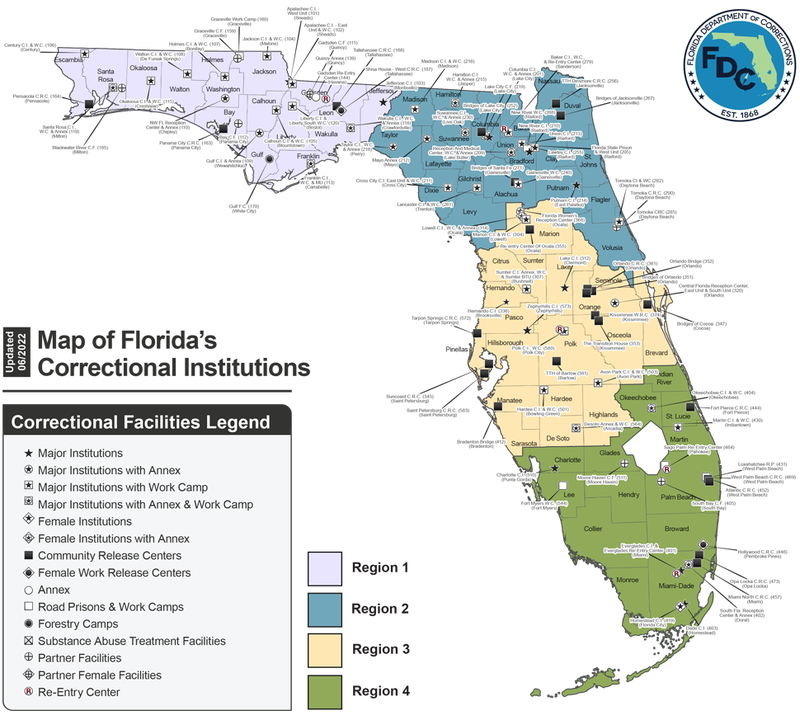 These facilities incarcerate felons convicted and sentenced more than a year. These inmates are transported from a county jail and enter the system through one of four male or two female reception centers strategically located throughout the state. Upon arrival at a reception center, an inmate is processed, tested, evaluated by health services, assessed for program needs, and his/her custody (security risks) is determined. Custody is determined by reviewing the seriousness of their offenses, length of sentence, time remaining to serve, prior criminal record, escape history, prison adjustment, and other factors. 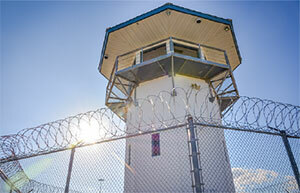 The most serious offenders with the longest sentences and those least likely to adjust to institutional life are placed in more secure facilities. Based on the results of this process the inmate is then transferred to the appropriate facility. Use the clickable map below to locate institutions in a specific area. If you are looking for a specific institution, try the drop-down menu at the top of this page. Click this link to view a larger version of the map.